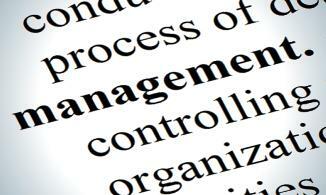 Study in managerial decision making to solve a wide range of operating management problems. Topics covered include: planning, evaluating, and control of operations; forecasting and inventory management; scheduling; project design and management; resource allocation; queuing models; quality of the work environment; and technological change. Design and implementation of management strategy will be emphasized through computer simulation, problems, and cases. For this course Professor Bassell is using Principles of Management by University of Minnesota. This textbook is free and open access. TIP: To select a specific video lecture from the playlist below just click on in the top left corner of the window, to get a drop-down menu to appear. The course textbook is a derivative of Principles of Management by a publisher who has requested that they and the original author not receive attribution, which was originally released and is used under CC BY-NC-SA. This work, unless otherwise expressly stated, is licensed under a Creative Commons Attribution-NonCommercial-ShareAlike 4.0 International License.